The semi-annual board meeting and "Out and About Wright" event of the Frank Lloyd Wright Building Conservancy was held last Friday and Saturday in the Ybor City neighborhood of Tampa, Florida, followed by a tour of Wright's Florida Southern College campus in Lakeland. Wright began work there in 1938 and continued until his death in 1959 completing seven buildings connected by a series of wonderfully sculptural shade-providing concrete esplanades (above). The campus has grown as campuses do and now it has 64 buildings. The most recent building, a Usonian house (below) that Wright designed for the campus in the 1950s, raises the thorny question of authenticity that has plagued the Wright world since 1959 and especially since the Frank Lloyd Wright Foundation made a practice of selling Wright's unbuilt plans to clients in the 1980s and 1990s (a practice that has fortunately been curtailed). This writer has been hostile to the building of Wright's work posthumously as a result of having drawn upon the hundreds of letters, drawings, and related documents pertaining to the design and buildings of the Darwin Martin House in Buffalo for several books. If the Martin House is any example, an authentic Wright building was the result of an intense involvement on the architect's part over a period of years; in the case of the Martin House monthly visits to Buffalo over a three year period. On the other hand in his later years when Wright's Usonian designs were being supervised by his apprentices all over the United States, there were houses such as the Zimmerman House in Manchester, N.H., that Wright never saw. 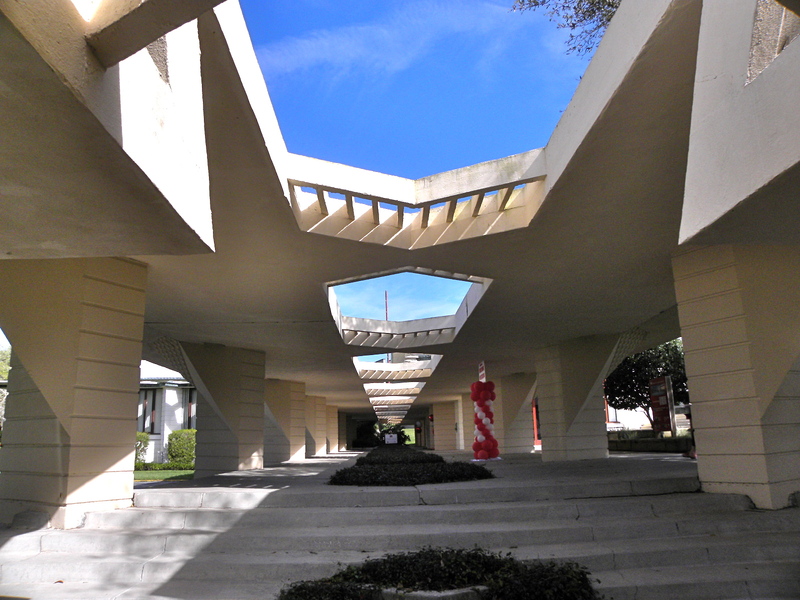 Now this "new" Usonian at Florida Southern. Is it authentic? The answer doesn't seem to be a "yes" or a "no" but rather it lies somewhere on a sliding scale between 10 (yes) and 1 (not at all). I would put it very high up on the authentic scale. It is a Wright design and Florida State is his client. Although it is not finished, the quality of the craftwork is excellent. Most important, I think, is that the building is an unusual version of the Usonian ideal that spreads out in four directions using generous cantilevers that does not conform to the five typologies -- polywog, in-line, raised, hexagonal and diagonal -- that John Sergeant established in Frank Lloyd Wright's Usonian Houses in 1976. In a clinical sense the Usonian under construction at Florida Southern offers an opportunity to experience a unique Wright space that was otherwise inaccessible, simply a drawing on paper. If this is true then why not build all of Wright's unbuilt designs? Three reasons come to mind: First, owing to contemporary building codes, the availability of materials, and the increasing height of the average person since1960 (the average male is 1 1/2 inches taller today than in 1960; the woman 1 inch) the reproduction buildings are invariably altered in the process. 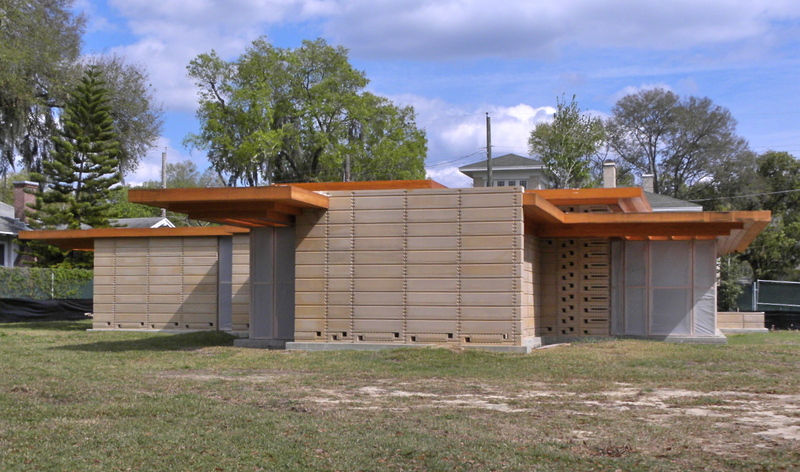 Second, the proliferation of inauthentic Wright houses diminish the validity of the authentic ones. 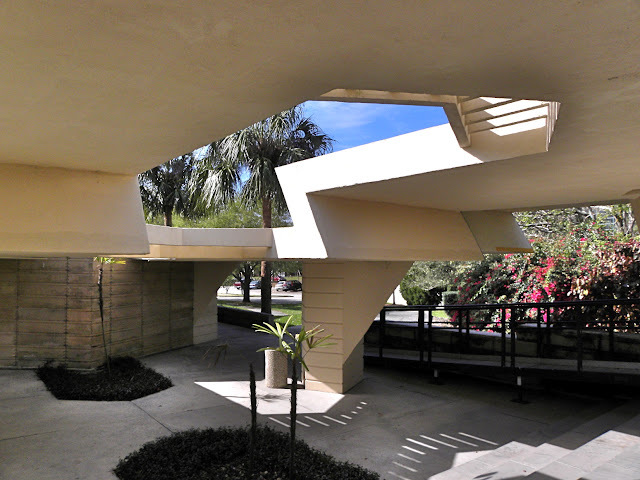 Third, Wright's designs belong to a specific period in history that ended in 1959. Even as we preserve the past we have an obligation to support the architects and the architecture of our time -- the 21st century.